Invictus Yacht in collaboration with Christian Grande Design Works have brought out the new 8-seater 280GT. Invictus Yacht is a new Italian yard that builds pleasure boats for the world. They have many different lines, among which the GT, FX and TT models stand out for their aesthetics, durability and flexibility. They have collaborated with the famous Christian Grande Design Works to create elegant and comfortable yachts with state of the art equipment and attentive detailing. The Invictus 280GT is their latest offering. Christian Grande has designed the 280GT in simple lines that utilise the full and empty shapes in uniform transitions. The big and sharp reverse bow effortlessly merges into the sides of the hull while the cabin windows and the air intakes for the engines are shaped in simple lines. The bow structure allows for a longer waterline length and increased lengthwise stability, and more interior space below the deck. 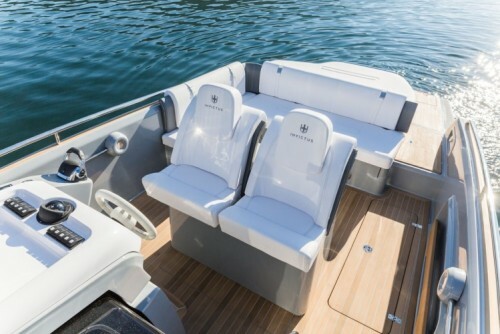 The open yacht feels sturdy and inspires confidence to take on even the worst aggressions of the sea. 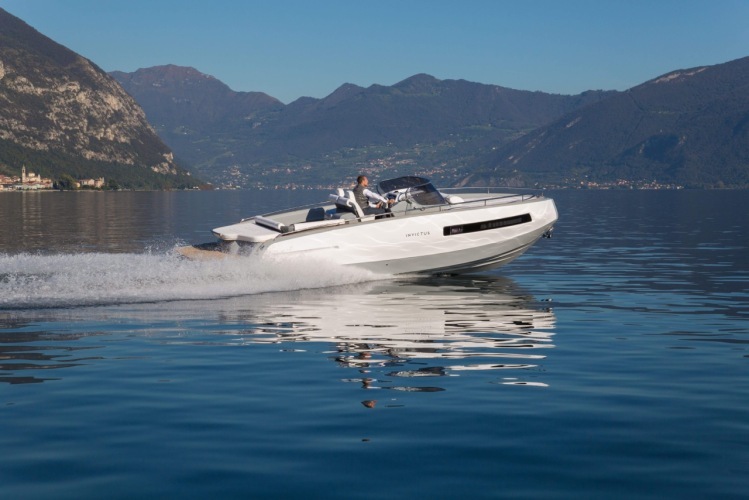 The Invictus 280GT measures 8.90m in length, with a beam of 2.84m, and is equipped with a Volvo 5.7 V8 sterndrive (max 320hp/240kw) that is capable of providing a top speed of 38 knots. The 280GT has a large cabin, separate bath and external galley module, and can carry up to eight passengers. The Invictus 280GT is available in four colour schemes: “Vanilla Sea”, “Attack Grey”, “Dark Wood”, and the classic “Personal White”. Buyers can customise the accessories and equipment of the 280GT. To know more or to order the Invictus 280GT visit their website or contact them over email. Tagged Big Boys' Toys, LifeSpice, Luxurious lifestyles, Sailing, yachts. Bookmark the permalink.